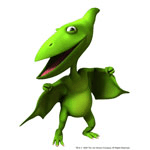 Home » My reviews » Dinosaur train! The show was created by Craig Bartlett (Hey Arnold!) and produced by Jim Henson Company and is based on input from paleontologists, science educators and early childhood education experts. 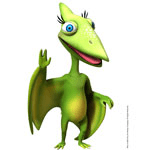 Dinosaur Train promotes and helps children (age 3 to 6) to apply scientific thinking as they discover new types of dinosaur species and embrace the living sciences of paleontology and natural science. The show stars Buddy, a curious, funny and intelligent T-Rex, in a family of Pteranodons, who loves asking questions about the world around him and is always ready to jump into action! In each episode, the family ride the Dinosaur Train, looking to investigate Buddy’s hypothesis with the help of his mum, the Conductor and friends. When Buddy isn’t taking exciting trips on the Dinosaur Train, he is plays with his siblings, Don, Tiny, and Shiny! We really enjoyed watching the show it was fun, lighthearted and extremely educational. 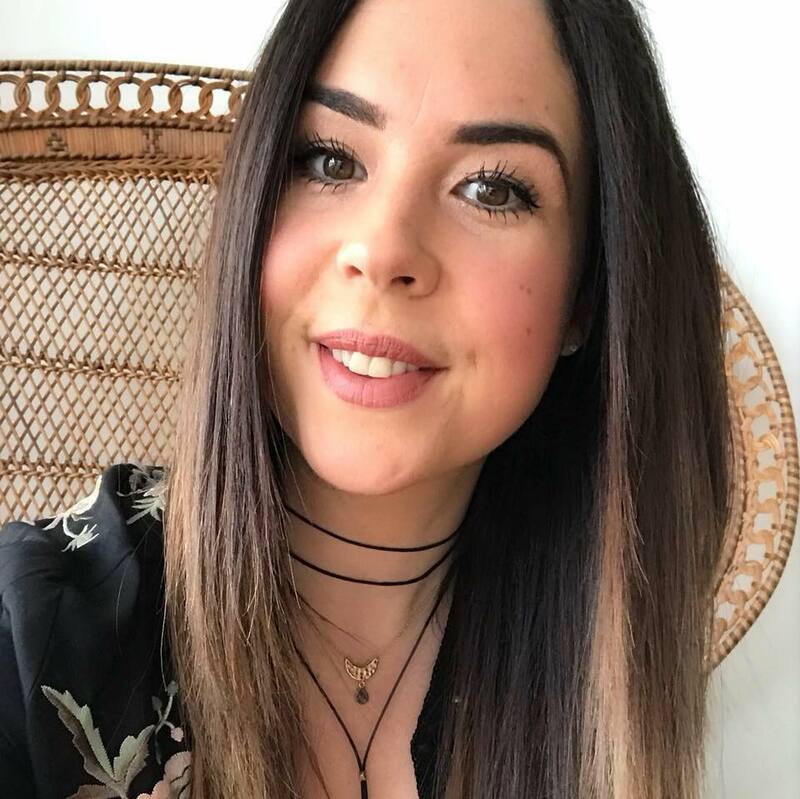 The information is presented in a manageable, cute way that left littlelish pondering further. She was even discussing what it meant to be a herbivore or a carnivore at dinner time! Dinosaur train cleverly injects music, song, rhymes and fun into the episodes which I think really appeals to the preschool viewer. The characters are very loveable and demonstrate excellent family values, being kind and patient with each other and working as a team. 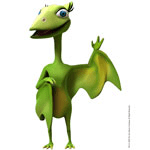 Meet the other stars of Dinosaur train! Tiny, who loves to make rhymes, is quite clever and very brave. Tiny approaches every dinosaur she meets with the confidence of a news reporter trying to get the full scoop. Tiny is so brave that she often wanders a little bit too far; but, Buddy is always there to help her get back on the right track. And in return, Tiny is fiercely protective of her brother Buddy. 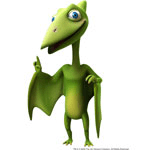 Tiny also has two Pteranodon siblings: Don and Shiny. Shiny is more “girly” than Tiny and proud of her shiny exterior, but can become shy in social situations. Shiny is outgoing with her siblings and acts as if she is the “wisest.” She can be a bit of a show-off and loves role playing with her brothers and sister. Shiny is happiest at home in Pteranodon Terrace hanging out with Dad and Don, while her Mom, Buddy, and Tiny take trips on the Dinosaur Train. Mrs. Pteranodon: teacher, companion, and tour guide extraordinaire. But, first and foremost, she is “Mom” to Buddy, Don, Tiny, and Shiny. She is always there to listen to Buddy’s questions about being an adopted member of the Pteranodon family. Mrs. Pteranodon is intent on a good education, but she is also always looking for ways to let her kids explore their world. 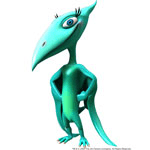 Conductor Troodon is a Troodon and a special friend to Buddy and his family. He becomes one of Buddy’s heroes because he is the Conductor of one the most awesome trains of all, the Dinosaur Train! 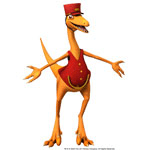 The Conductor is very intelligent and is happy to explain facts about dinosaurs, the places they visit and even how the Dinosaur Train works. 1 Comment on Dinosaur train!